PickMeUp! Your new on-demand travel service is simple to book and with you in around 10 minutes. 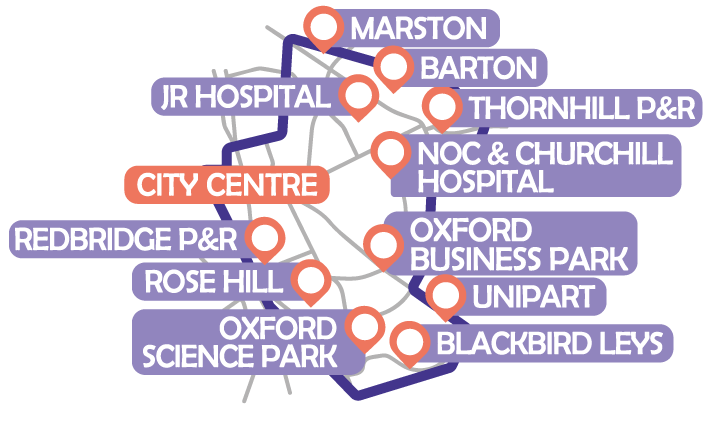 Here at the Oxford Bus Company, we provide lots of bus options to help passengers travel into the City Centre from all around Oxfordshire. While this is useful, some of our customers told us you also need to travel around the Ring Road or to other locations that could be reached more directly without having to change buses in the City. We’ve listened to your feedback and we’ve launched PickMeUp. 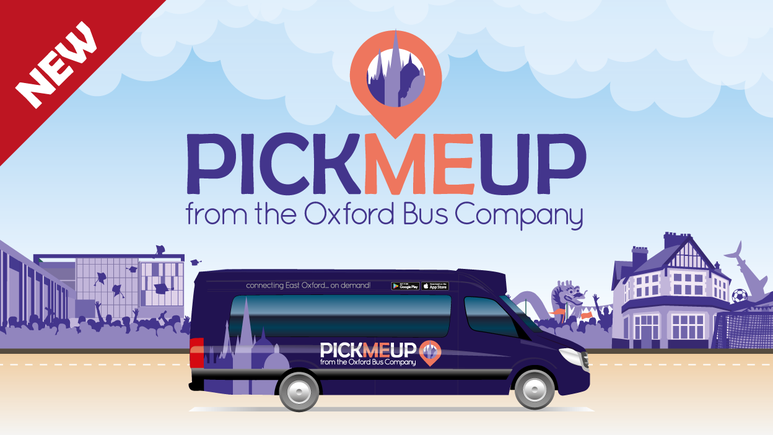 PickMeUp is an on-demand ride-sharing minibus service. Download the app and tell us where you want your journey to begin. We’ll pick you up from a ‘virtual bus stop’ within a short walkable distance of where you are. The intelligent software works out the best way to take you and our other passengers to your chosen destinations. Simply register your credit or debit card and we’ll be with you in around 10 minutes. You can think of it like a car pool, only bigger – and you never have to drive yourself! It’s good value and comes whenever you want it. Click here to download the app and get started! It’s handy! – we’ll pick you up typically within around 10 minutes of your booking – or you can book ahead if you prefer. It’s convenient – we’ll collect you from a ‘virtual bus stop’ on any street in the travel zone. You won’t have to walk too far to the nearest ‘virtual bus stop’ and you’ll be dropped off a short walkable distance from your destination. * To support greener travel and ease congestion, a surcharge of £2.50 will be added if your journey could be made via an existing Oxford Bus Company bus route where you’d be requested to walk 200 metres or less.